It’s hard to picture a cloistered religious group thriving in a bustling cityscape like Bangkok, but it is for this exact solitude and witness that people are choosing this unique vocation. In the commercial and financial heart of the Thai capital an ancient presence of Carmelite nuns remains in a bustling cityscape. People of all backgrounds frequent their chapel every Sunday. It is hard to imagine that the heart of Bangkok, a bustling megalopolis, hosts a recess of strict silence and prayer. The Christian inspiration is remarkable, given that the overwhelming majority of the population practices Buddhism, a religion that has in such an essential role in Thai history and its society. Yet, as time and experience have taught silence and contemplation can lead to initiatives of meeting and dialogue, even in Thailand. The presence of the Carmelites in the Thai capital is not a coincidence, dating back to the ancient Siam, this is the oldest active presence in the country beginning in 1925. It is among the most appreciated of the miniscule Catholic presence in the country. There are only 300,000 baptized Christians in the combined 11 Dioceses in which the local Church is organized. Most visitors are Chinese and Vietnamese faithful as well as a substantial presence of ethnic minorities; those only partially assimilated in the Thai society. 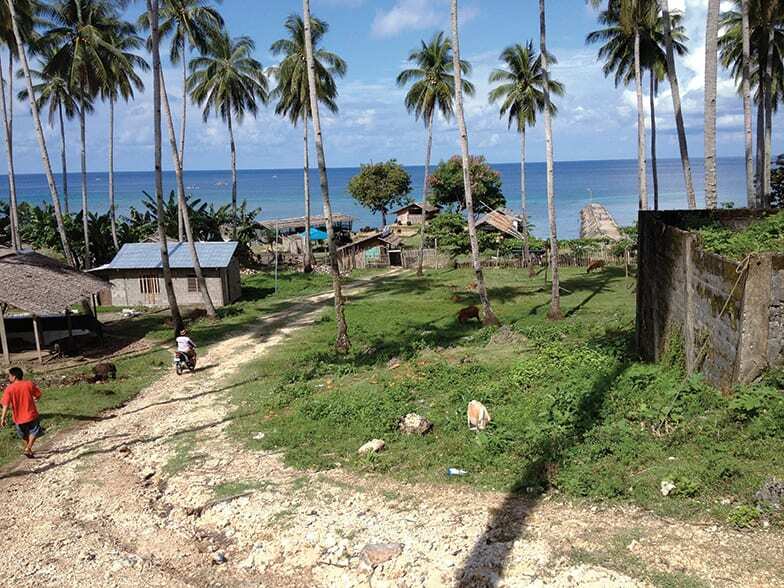 Even though the local society remains impervious to the Christian message, it is tolerant of all different presences that it does not perceive as a threat to Siamese identity. The greatest risk for the cloister nuns is the value of the land that they sit upon at 14 Convent Road. 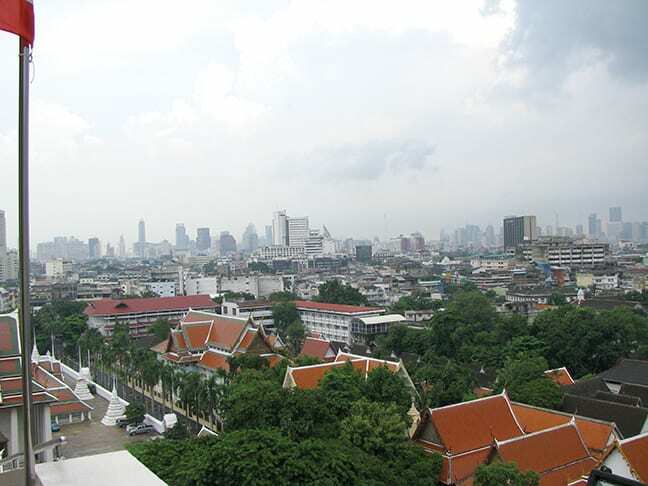 The Monastery sits in the area of Sathorn: Bangkok’s commercial and financial heart, its business district, which just so happens to have the highest real estate values in all of Thailand. 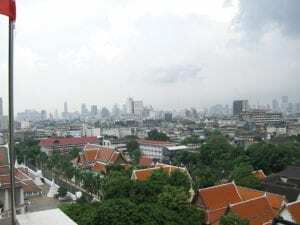 The pressure of speculation is likely to become unsustainable, even for the small spiritual enclave, because they depend solely on the Archdiocese of Bangkok, led by Cardinal Archbishop Kriengsak Kovitvanij. They are seemingly besieged by skyscrapers, places of fun and leisure, of dubious mores or even overtly unethical, as well as first-class restaurants. However, the “claustrophobic” reality of Convent Road has also been at the center of a yearning that is spreading across this country, to those looking for a similar experience. Nowadays there are about 60 nuns and novices, Thai and non-Thai, who want to live this life following the example of the Carmelite’s founder in Southeast Asia. An English nun, who entered a convent in France, she arrived in Thailand 93 years ago after wandering through Vietnam and Cambodia. The daily activity of the nuns, as Sister Angela emphasizes, combines the preparation of food; the care of the elderly; and the manufacturing of Holy Communion wafers, vestments and sacred images with devotion. However, their main task is seven daily moments of recollection and prayer. 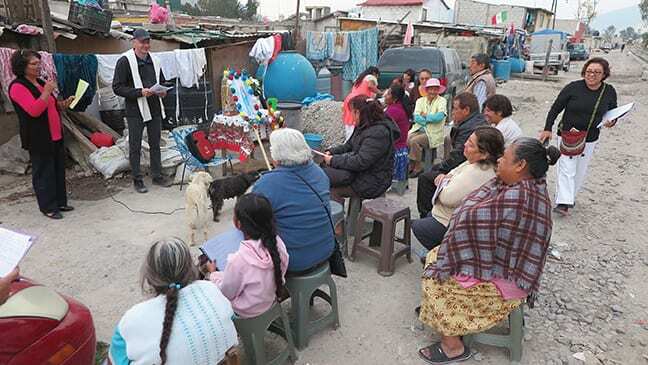 The Catholics of the capital, following the example of a Buddhist society that appreciates a religious life of contemplation and detachment from the world, bring food and offerings so that the sisters do not have to worry about what is necessary to stay alive. Then there are many who go to the convent to ask for prayers and blessings in times of difficulty, especially on Sundays. Today there are four monasteries with Discalced Carmelite nuns in Thailand: the aforementioned in Bangkok, with 13 nuns and a Vietnamese novice; one in Chantaburi, with 17 nuns; one in Nakhon Sawan, with 13 nuns and a Thai novice; and one in Sampran, with nine nuns. Sister Angela, formerly Lucia Mui Hua See Heen, whose last name betrays the Chinese origin of her family (or with her unpronounceable Thai name of Cit Voraciootnonbandan) was part of the reality of the Bangkok, convent. At 68, Sister Angela is an eloquent witness of the Carmelite presence in the Land of Smiles. Despite the fact that, some time ago, the responsibility of running the Carmelo of Nakhon Sawan, some 155 miles north of the capital was entrusted to her, the bond between the nun and 14 Convent Road is intimate and personal. Lucia/Cit was born and raised in a house near the convent, in an alley where there is now a top-notch restaurant run by a Canadian. Her father was originally from China and to guarantee his 12 children the possibility of a dignified life; he worked as an attendant at the St. Louis hospital, taking good care of the cloistered nuns’ garden of the on the side. It was a garden, and a house, that the future nun soon began to attend, thus becoming familiar with the sisters and their activities. At age 16, she began to perceive her vocation, it turned out to be a vocation opposed by her family, although they were Catholic; they maintained the original traditions of Confucian imprint. They opposed her until she was accepted as a novice at 20 years old. How much did they contrast her vocation? One day her eldest brother returned home and was unable to find her, seeing the parents sad because of her absence, he went to the convent armed with a pistol to convince her to return home and to abandon her interest in a life of seclusion. Are there any difficulties in choosing a life of seclusion or getting new vocations? “The obstacles are within ourselves, as every day we try to conform ourselves to the will of God, looking for what is best according to our vocation, leaving desires, selfishness and pleasures behind. Vocations diminish because of the influence of the media and progress that impede the search for inner, spiritual life. A ‘threat’ to vocations is the decreasing number of children in this country, which makes offspring even more precious for traditional families. Currently we have two women in their 30s who would like to enter a convent, but they do not have their mother’s permission and are therefore waiting for the right moment. On the other hand, for the first time we have the request for an adult vocation, a lady in her 50s. We are evaluating the case to make sure that it is a truly well-thought out choice,” Sister concludes.